Hearing anomalies can affect many aspects of normal everyday life, especially behaviour, sensitivity to noises in the home, social interaction, speech and language development and learning. Many professionals and parents who seek to remediate speech or language problems as well as learning delays in their patients implement AIT. The beneficial effects of music are well known. Our programme can be personalised for each person. Modulated and filtered sound is played through high quality headphones. The programme exercises and educates the listener through the auditory system. We aim to promote normal hearing, and educational and social well being. Pioneer Dr. Alfred Tomatis (1920–2001), an internationally known otolaryngologist and inventor, adapted electronically modified music by Mozart to target diverse disorders such as auditory processing problems, dyslexia, learning disabilities, attention deficit disorders, autism, as well as sensory integration and motor-skill difficulties. His successor, Dr. Guy Berard, also an accomplished Ear, Nose and Throat (ENT) specialist, developed the current educational approach. Berard believed that behavioural and cognitive problems often arose when an individual perceived sounds in a “differential” manner. This, he said, happens when individuals perceive certain frequencies far more acutely than other frequencies. Sounds thus appear to that person in a “distorted” manner. This often leads to difficulties in comprehension and behaviour. Berard’s objective was to reduce “distorted” hearing and hypersensitivity of specific frequencies, so that after Auditory Integration Training (AIT), ideally all frequencies could be perceived equally well. The individual would than be able to perceive environmental sounds, including speech, in a normal fashion. Today, children and adults with learning difficulties, attention deficit disorders, dyslexia, autism, and pervasive development delay have benefited from Auditory integration Training (AIT). An estimated 20% of the population suffer from distortions in hearing or sensitivity to certain sounds. This can contribute to inappropriate or anti-social behaviour, irritability, lethargy, impulsivity, restlessness, high-tension levels, as well as problems with language and reading. Improvements reported after receiving Auditory Integration Training (AIT) include more appropriate affect, expression and interaction; better articulation and auditory comprehension; and an overall increase in academic and social skills. Who are potential candidates for Auditory Training? Needs physical prompts to follow verbal commands. 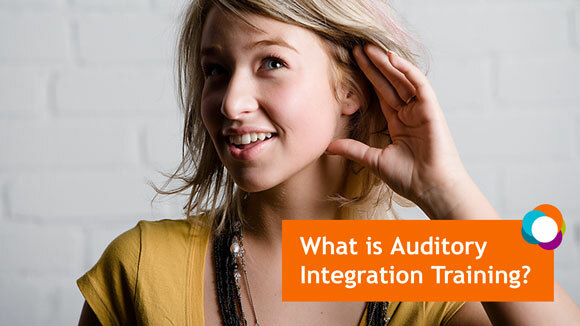 What changes may result from Auditory Integration Training (AIT)? overall improvement in academic skills. Reduction of sensitivity to sound impulsivity, aggressive behaviour, echolalia, distractibility and temper tantrums.